Do you want to connect with AKB48 on Google+? 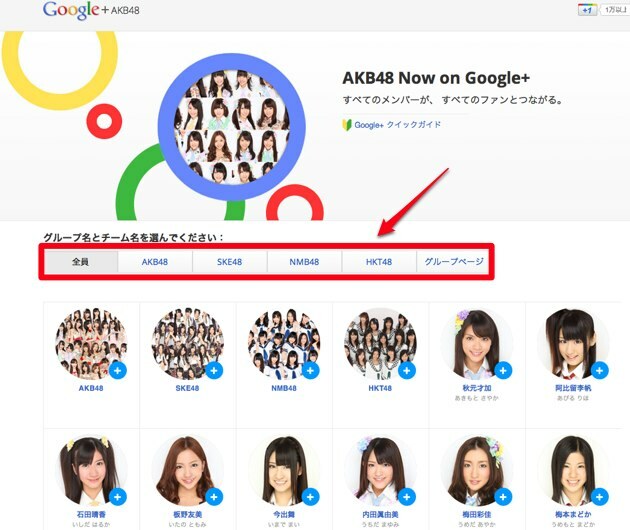 There is a special Google+ website for AKB48 called “AKB48 Now on Google+“. You can join your favorite member’s circle and get information about her. 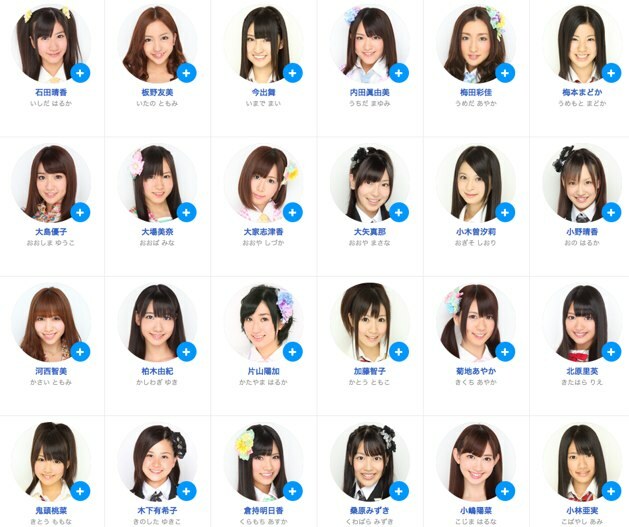 Besides AKB48, members of AKB48’s sister groups, SKE48, NMB48, HKT48 are on Google+ too. 1. Go to “AKB48 Now on Google+” page. 2. Search for your favorite members from category by groups. 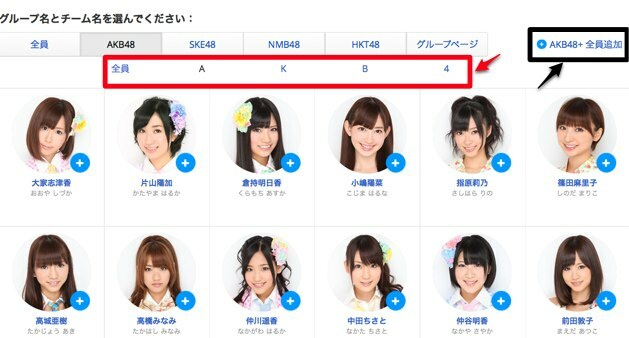 For example, if you click “AKB48” from the category, you can search each team in AKB48 (team A, team K, team B, and team 4) making it easier to find your favorite member. 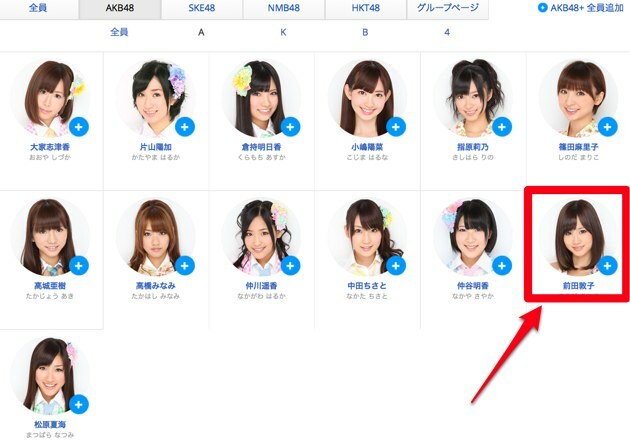 You can add all members in AKB48 as shown below. So for example, if you want to join Atsuko Maeda in team A of AKB48 which became No.1 in the 3rd AKB48 popularity election on June 9 last year, click Atsuko Maeda as shown below. 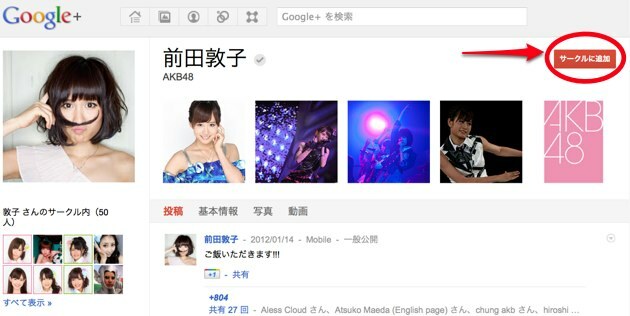 Then you can see Atsuko Maeda’s individual Google+ page and click “add in circle” at top right of the page, as shown below. Then you can check her individual information at Google+. There are also AKB48 members’ individual pages in English, Chinese (traditional Chinese characters and simplified Chinese characters), Korean, Thai and Indonesian. The picture below is Atsuko Maeda’s English page. You can add AKB48 members’ Google+ page in other languages from the list below.